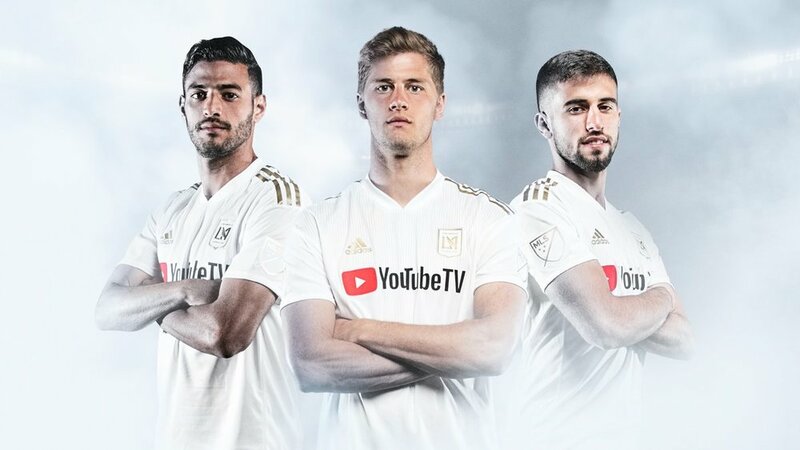 LAFC has released their Inaugural kits for the 2018-19 season. The team has unveiled a black and white kit that features gold trim. 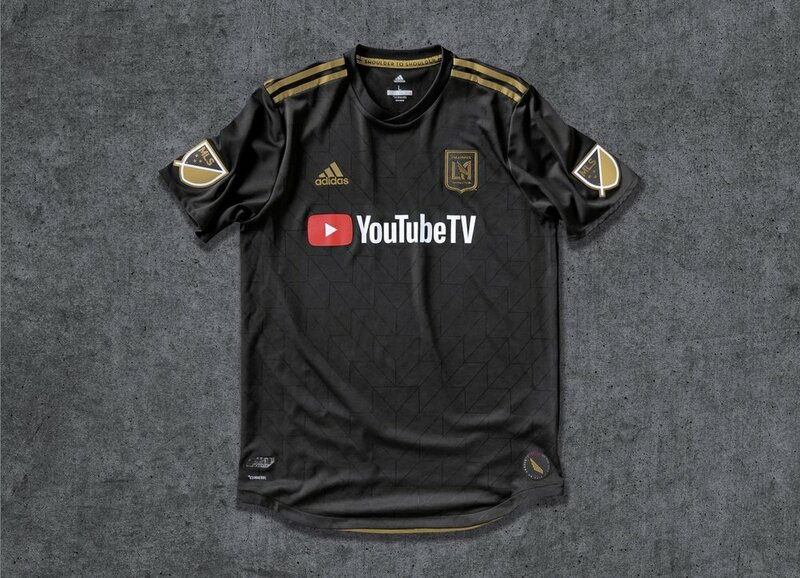 "When we were out in LA we spoke to the club and it’s obvious that the black and the gold is a really strong colourway for them. The colour combination works really well in LA, and it’s a really wearable colour pairing. No other MLS team has that combination on their home kit, so it’s for the club to really own." adidas Design Director, Inigo Turner. The jersey has a subtle art deco pattern found throughout the entire kit on both the white and black version. 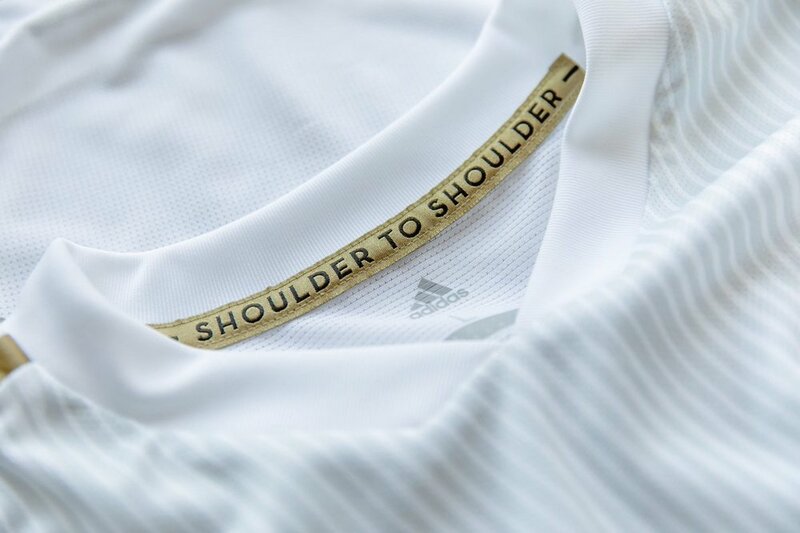 The motto "Shoulder to Shoulder is found on the inner neck tape of each jersey. YouTubeTV is the team's presenting sponsor and their logo is found across the chest.